How much do Bose and Microsoft really benefit? Corporate partnerships can be difficult: this is hardly news to the PR industry. But the NFL has made clear in the past that it will promote Bose headphones and Microsoft tablets — and no other brand will do. This week, Seahawks cornerback/headline machine Richard Sherman learned that the hard way: as USA Today reports, “someone in the crowd” at Super Bowl Media Day handed him an iPad and asked him to sing along to a song (and odd request, really). 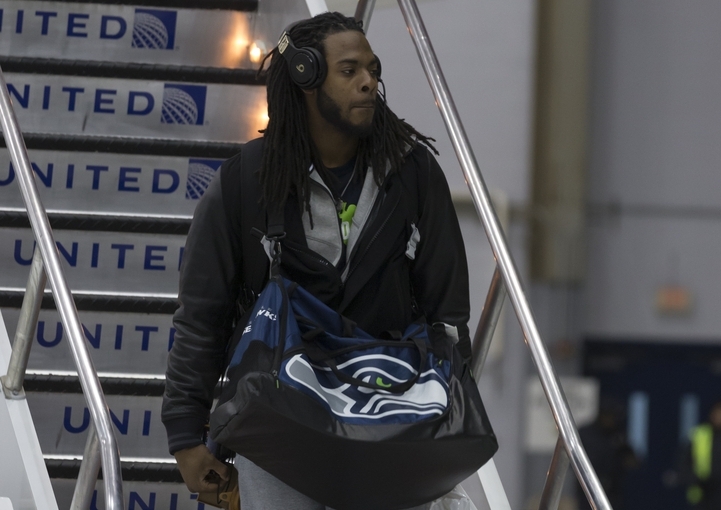 The problem was that the headphones were Sony, and the NFL partners with Bose. Despite the NFL’s insistence on cracking down on such unauthorized “promotions,” we haven’t seen any hot news surrounding Bose or the Microsoft Surface recently, but we have seen lots of headlines about Apple and Beats by Dre. At least the staffer returned the headphones to their owner…but now we’re curious as to how the NFL’s partners measure ROI. In other Sherman news, the cornerback told ESPN yesterday that he doesn’t know whether he will skip the Big Game if his pregnant girlfriend delivers on Super Bowl Sunday. And we wonder why Marshawn Lynch doesn’t like to field questions from the press.